One of our favorite store bought flavors is caramel. I’ll eat the pints easily found at any deli – Haagen- Dazs Caramel Cone or a Ben and Jerry’s Karamel Sutra, but I’m game for anything that has a caramel component. Local ice cream company Steve’s makes really great ice cream, sorbet, and vegan ice creams. (We ate half a pint of their Cinnamon Coffee before realizing it was made with coconut milk). However, their Salty Caramel is just a tad too salty for our tastes. Their caramel is a great texture, with thin ribbons racing through a light caramel ice cream, but the salt is the primary flavor. However, if you see their ice cream in a freezer near you, definitely grab one of their other flavors, especially the Brooklyn Blackout or Mexican Chili Chocolate. 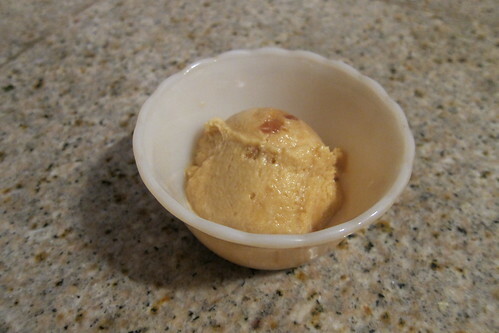 In my opinion, the winner in the caramel ice cream race is clearly Talenti‘s Sea Salt Caramel gelato. The gelato is creamy and dense, with the perfect melting point. Distributed throughout are chocolate covered caramel truffles, made with Fleur de sel. Tom finally put his foot down and said that we couldn’t buy it anymore- we had to make it. So I tracked down a recipe from a very reliable source on the internet. 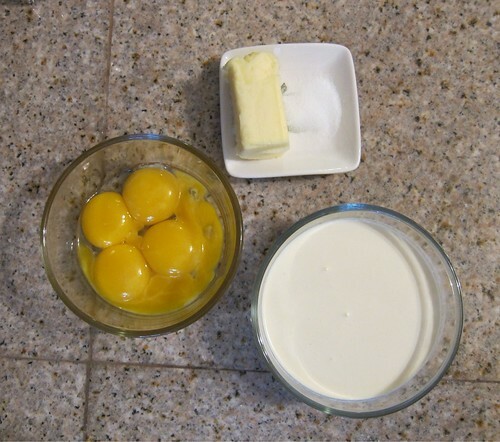 David Lebovitz, author of The Perfect Scoop, runs a great cooking blog. We made his Salted Butter Caramel Ice Cream, following his recipe to the tee, minus the caramel praline, which was a total kitchen fail. 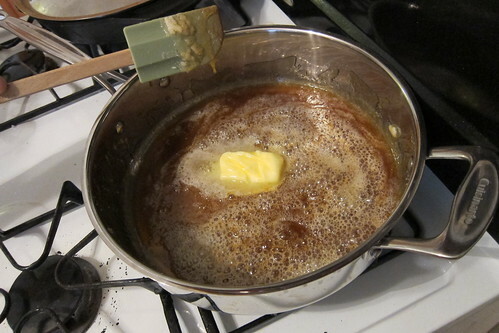 Since the caramel praline did not work out we surfed Mr. Lebovitz’s site a bit more, and found his recipe for Salted Butter Caramels. We wanted to have some sort of chunk in our ice cream and this seemed like the perfect solution. We followed the recipe as closely as we could without having a candy thermometer. The cooking of the candy went smoothly, and I just made a guess to when I hit the proper temperature after I maxed out my meat thermometer at 220 degrees Fahrenheit. The only problem we had was that after the caramel hardened it was extremely difficult to pull off the tinfoil. 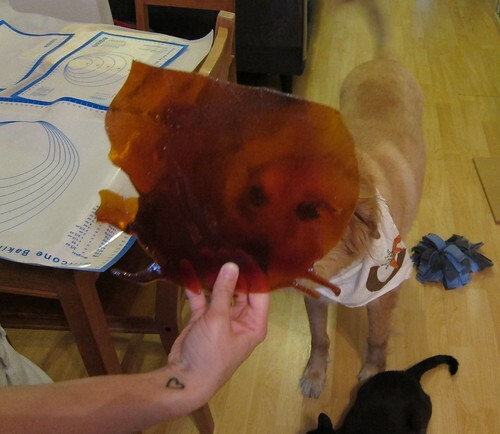 We highly recommend using silicone mats or parchment paper to let the caramel harden on. 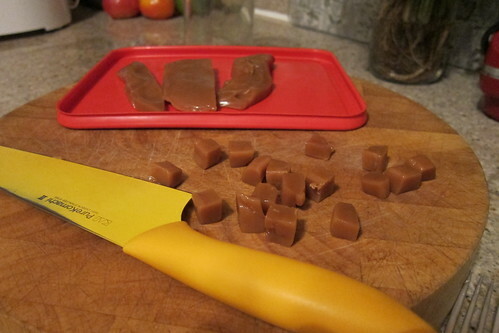 The caramels are soft and chewy at room temperature, but harden into a crunch deliciousness in the ice cream. We were hoping for a chewy caramel, but our results were surely tasty. Because he is a great recipe writer himself, we are simply linking to his recipe, with our sage words of wisdom- caramel is tricky. Do not look away. Also, a candy thermometer would have been really helpful- so get one before you embark on this recipe! Hint: This flavor pairs well with grilled peaches or nectarines. This entry was posted in Recipes, Reviews and tagged Butter, chunks, David Lebovitz, Ice Cream, Salted Caramel, Talenti Gelatao, The Perfect Scoop by lessdelicate. Bookmark the permalink. Wowee! That looks so utterly delicious and really rather tempting!